Home > Bluestack Systems, Inc.
Found 3 file extension associations related to BlueStacks App Player for Mac and 2 file formats developed specifically for use with BlueStacks App Player for Mac. 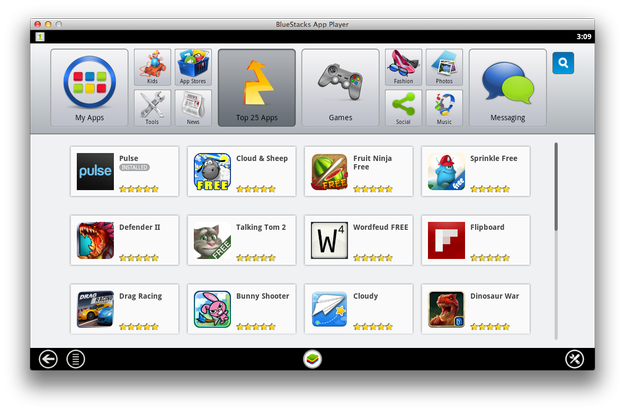 BlueStacks App Player for Mac lets you run apps from your phone on Mac. It allows users to play Android apps fast and full-screen and push their favorite apps from Android phone to their PC using BlueStacks Cloud Connect. Run WhatsApp on PC or Mac - Solutions for running WhatsApp on desktop computers. Run Android apps on Mac - Using BlueStacks App Player to run Android apps in Mac OS X operating system. If you need more information please contact the developers of BlueStacks App Player for Mac (Bluestack Systems, Inc.), or check out their product website.